Nico Rosberg and Michael Schumacher were sporting the all-new 2011 Mercedes GP caps this weekend at Albert Park, but now thanks to BadgerGP.com, so are three lucky F1 fans. No one correctly guessed that neither driver would finish in Australia, but three people did predict that Michael Schumacher wouldn’t finish, so they have been deemed the closest and pick up a cap each. Well done folks! If you weren’t lucky enough to win this time, don’t worry – there will be plenty more competitions on Badger over the next few months – we love to give stuff away! If you were holding out for a Henri Lloyd Mercedes GP cap, then you can always pick one up from the MercedesGP Store here. Follow Henri Lloyd on Twitter for offers and news and of course follow BadgerGP for future competition announcements. 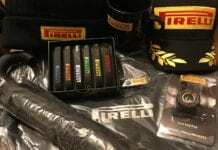 Win a Pirelli Goodie Bag with Badger! Win A Pair Of Nico Rosberg’s Race Boots! 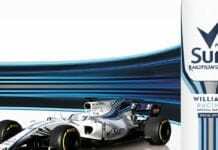 F1 2013 – Codemasters Go Retro! BBC’s Ben Edwards at his brilliant best!